Streetsblog is a nonprofit organization, supported by donors, advertisers, and grants. Our articles are brought to you by people like you – readers. We need ongoing support from you to keep publishing. If you read Streetsblog, we hope you’ll support us. For the next ten days, Streetsblog will host our 2018 Summer Fund Drive. 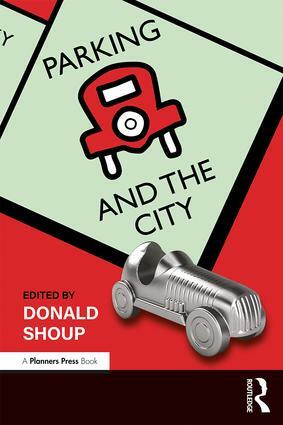 If you donate $25 or more between now and Friday, June 15, you help Streetsblog and you’ll be entered in a raffle to win Donald Shoup’s most recent book or a custom, one-of-a-kind, not plastic water bottle. 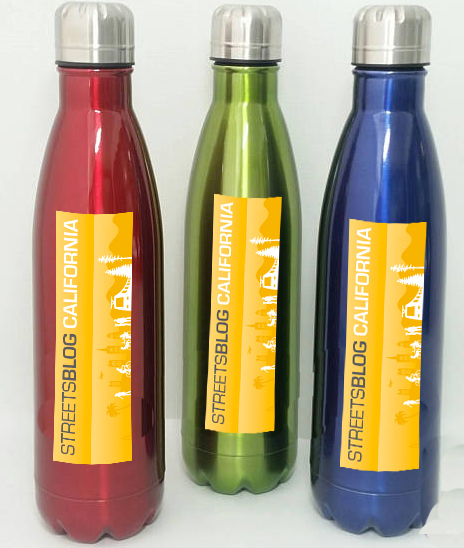 You definitely want one of these handy, not plastic, reusable, one-of-a-kind water bottles that will allow you to show your support for Streetsblog California while refusing to contribute any more plastic trash to the environment. These are double-walled stainless steel bottles designed to keep liquids hot or cold. The winner will be given a chance to choose their preferred color. Donate by midnight on Friday, June 15, to be entered into a drawing to win a book or water bottle. Raffle will be held Monday, June 18. Winners will be contacted via email. Prizes will be mailed or dropped off the week of June 18.